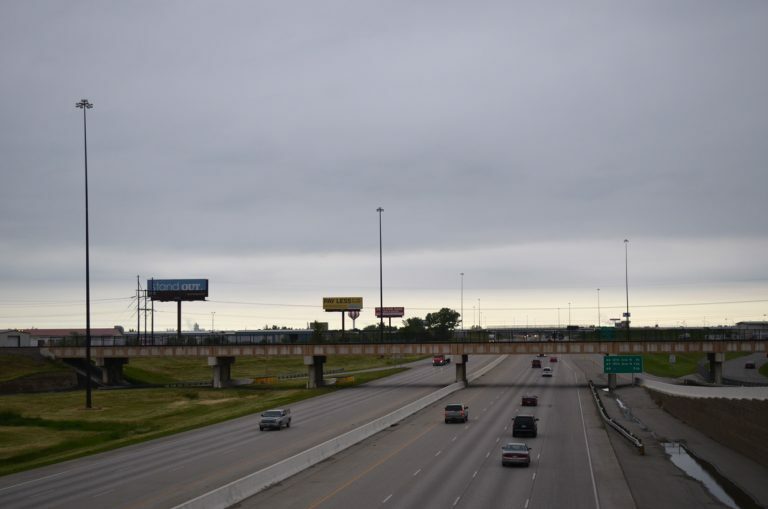 Interstate 29 passes below Business Loop I-94 & U.S. 10 in Fargo. Photo taken June 17, 2015. Looking north at Interstate 29 during peak hour morning traffic from I-94. A flyover was added to the interchange during widening of I-29 between 2005 and 2007. Photo taken June 17, 2015. 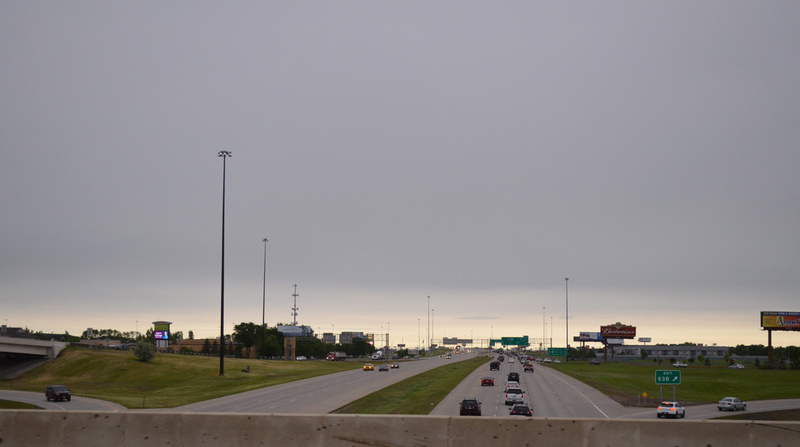 Passing over Interstate 29 & U.S. 81 on 52nd Avenue South east at Exit 60. The original diamond interchange between the two highways was under construction as of March 2008. Work replaced the original two-lane overpass with a new four-lane bridge and added two new loop ramps to join the existing two on-ramps. Photo taken 04/22/07. Since 52nd Avenue South interchange lies within the city of Fargo, Grand Forks is used as the northbound control city for Interstate 29 & U.S. 81 north. The community of Frontier otherwise lies ahead on 52nd Avenue South east. Photo taken 04/22/07. 32nd Avenue South eastbound enters a parclo interchange with Interstate 29 & U.S. 81 in south Fargo. Photo taken 04/22/07. The southbound on-ramp to Interstate 29 toward Waphelton and Sioux Falls, South Dakota departs 32nd Avenue South east. Photo taken 04/22/07. Interstate 29 & U.S. 81 south continue two miles from 32nd Avenue South to Frontier and an exit of Fargo. 32nd Avenue East continues to Essentia Health-Fargo hospital and U.S. 81 Business (University Drive). Photo taken 04/22/07. Cass County Road 20 (40th Avenue North) meets Interstate 29 & U.S. 81 on the northern outskirts of Fargo. Pictured here is the southbound on-ramp at Exit 69. Photo taken 04/22/07. CR 20 continues a short distance from Interstate 29 & U.S. 81 to 45th Street Northwest near Reiles Acres. Photo taken 04/22/07. Interstate 29 shields posted at the Cass County Road 20 (40th Avenue North) eastbound off-ramp to Interstate 29 & U.S. 81 south. The freeway heads into Fargo while 40th Avenue North continues toward Oakport, Minnesota. Photos taken 04/22/07. NDDOT - History, 1941 - 1960. North Dakota Department of Transportation web site. NDDOT - History, 1961 - 1980. North Dakota Department of Transportation web site.